Save and share articles straight to any inbox, stripped of ads or other clutter. Being online means finding content that you’ll want to read later or share with friends. But depending on the device used, browser plugins, and other factors determine whether it’ll load correctly, or at all. Luckily there’s an easy way to make sure that never happens. 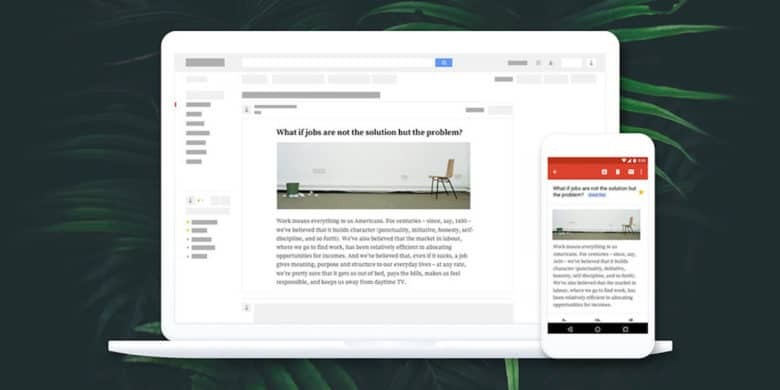 EmailThis lets you save interesting articles or pages and send them straight to anyone’s inbox ready to read on any device. It automatically organizes all the content into a neat email package. Sharing pages means forwarding the full text of the article, so there are no ads or clutter. With a lifetime license, you can save an unlimited number of bookmarks, PDFs, DOCXs, Excel files or images as email attachments that can be accessed anywhere. Additionally, this makes it quicker to search and retrieve bookmarks via keywords and notes. Buy now: Get a lifetime license to EmailThis for $24.99 — that’s 86 percent off the usual price.